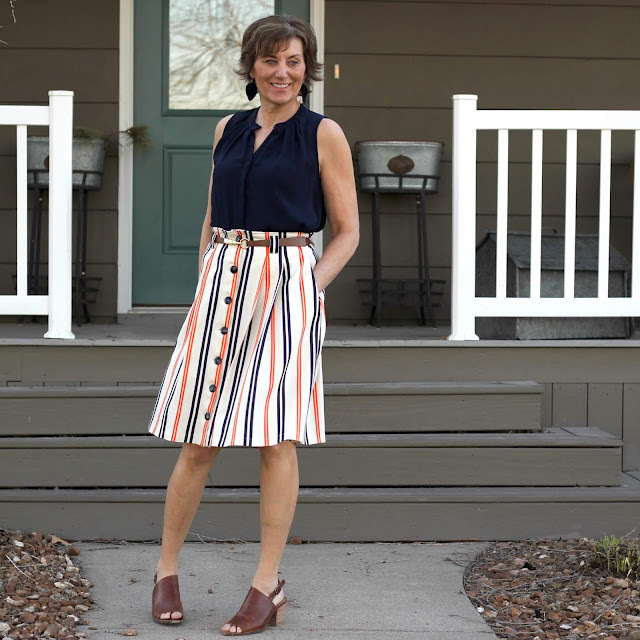 You know what they say "Imitation is the sincerest form of flattery", well if that is the case, Michelle of Style Maker Fabrics should feel very flattered. 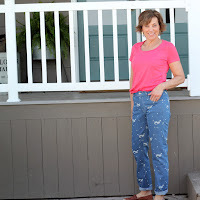 I copied her shirt from the fabric to the pattern, I loved it so much. Take a look at Michelle's shirt to see that I am now her twin, just a bit older! In fact, much more than the four minutes my twins are apart. 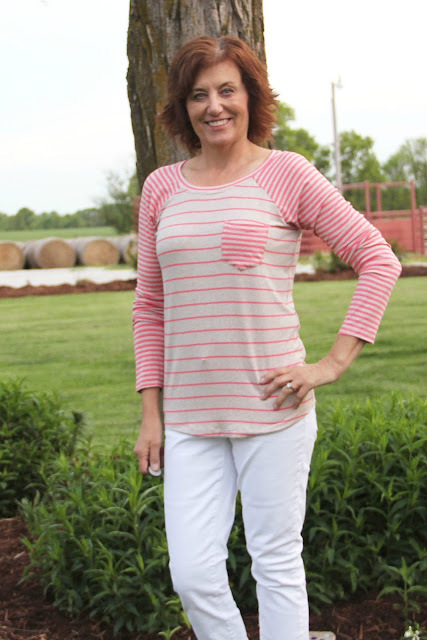 The moment I saw this stripe Lane Raglan, I knew I needed one for myself. 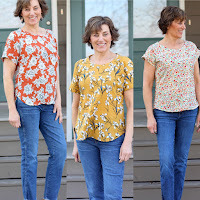 I went to Indiesew and bought my own pdf of the Lane Raglan and Style Maker Fabrics to buy the knits. 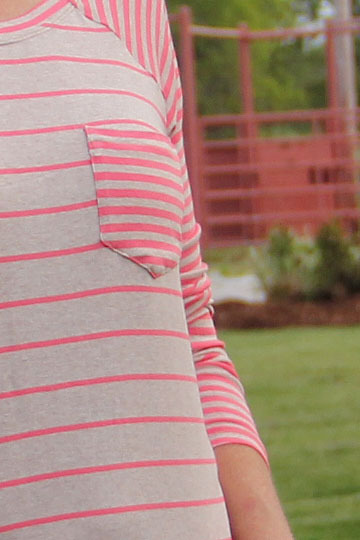 The two sizes of stripes are such an interesting way to make this tshirt. 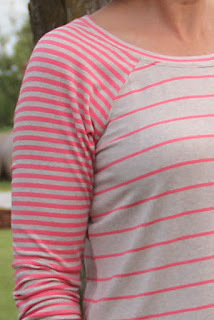 I also like using the two stripes, no stripe matching at the raglan! 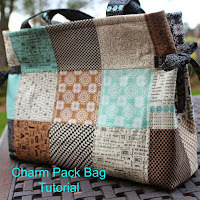 This pattern is perfect for a fun t-shirt, easy to throw on in the spring months. 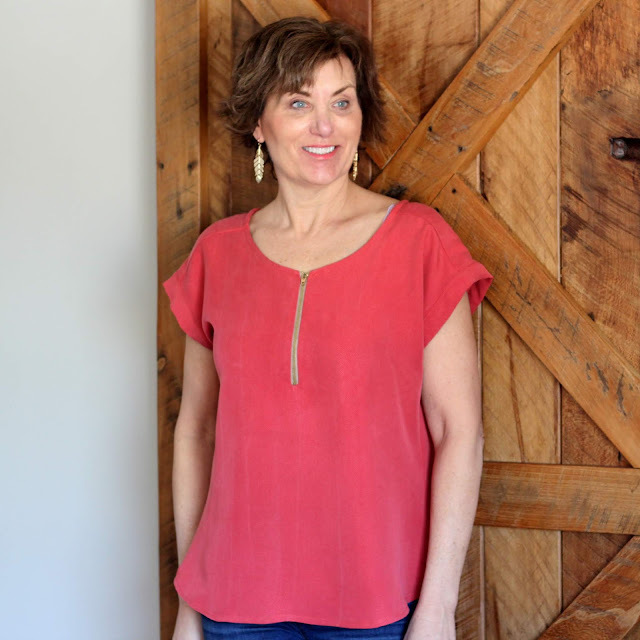 Just pick your fabric and you can have a new raglan t-shirt in no time. I used the small stripe for the neckline and just paid close attention when I cut the neckband and sewed the neckband. This helped keep the neckband nice and straight with the stripes. Thanks Michelle for such a fun t-shirt, I hope you don't mind having a Mid-West twin! Now on the personal note. The remodel is taking longer than expected, as in most remodels we found more issues and had to take down more drywall. Currently it is plumber, HVAC and electrician working for the next 2 weeks and we are living in a small section of our home. It really isn't too bad, the weather is nice, so we can be outside more and working on lots of yard projects. I just keep thinking about how nice the kitchen and open floor plan will be and the wait is worth it. Not to mention my sewing room! One more change, I am changing jobs, moving to another location of our family business. I will be working more hours and it will be an adjustment on many levels. I am a bit anxious of the changes this will make in work, home and social. One thing that will change, I won't be able to meet my friends and quilt on Mondays, that makes me very sad. Part of life, always changing, right? Thanks, Meg, it is a great pattern. You need to try this one. How would you feel about triplets? I loved that top when Michelle blogged about it. Now, that I've seen yours, I love it even more. 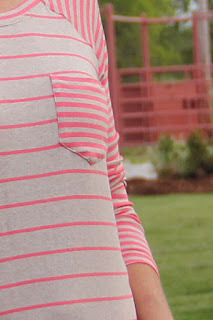 Your sewing of pocket and neckline are impressive. 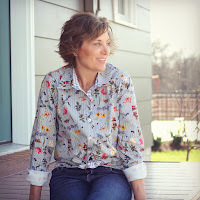 I don't think that you need a FBA for the pocket, funny girl.The Lane Raglan is on my cutting table, in the process of taping.The fabric that I picked for it is nice, but doesn't fit into my Spring wardrobe very well. I've bought enough fabric from Stylemaker already - probably enough to qualify for a partnership. Both the fabric and service are outstanding. 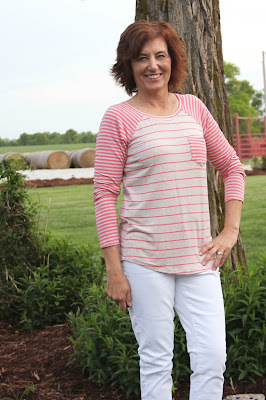 The pink stripes would work so well with my other sewing plans. I'll have to think about that. Triplets are great, go for it. How is your Lane coming? 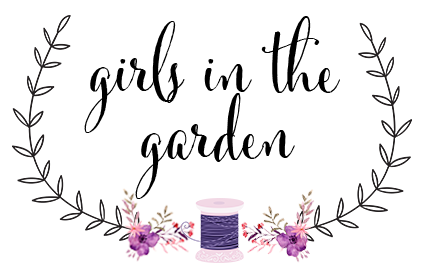 You are right, Style Maker's service is amazing, as is her fabric. What a cool t-shirt. And that neckband is perfect. Wishing you well with all your changes--I know they can be a real challenge. But challenges can yield great rewards. Thanks, Catherine, I love this top. The job was hard this week but I think it will be better next week. Good luck with the work and life changes. Nothing ever stays the same. 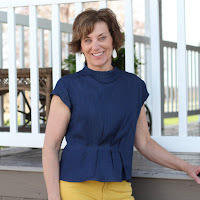 Thanks, Barbara, you need to buy from Style Makers, it is fabulous. You are right nothing stays the same. What a wonderful shirt! Love the stripes. I hope you don't mind a suggestion ... when topstitching something onto knit fabric (such as a pocket), I place a piece of tearaway stabilizer underneath the area, and if necessary, another piece on top. Makes a sandwich with the fabric in the middle and keeps the fabric from squidging out in front of the presser foot. For the top stabilizer I usually use a transparent washaway stabilizer, so that I can see through to keep the topstitching where it needs to be. Once the stitching is all done - just tear off the stabilizer (carefully). Works like a charm on hems, too. Love this top on you! 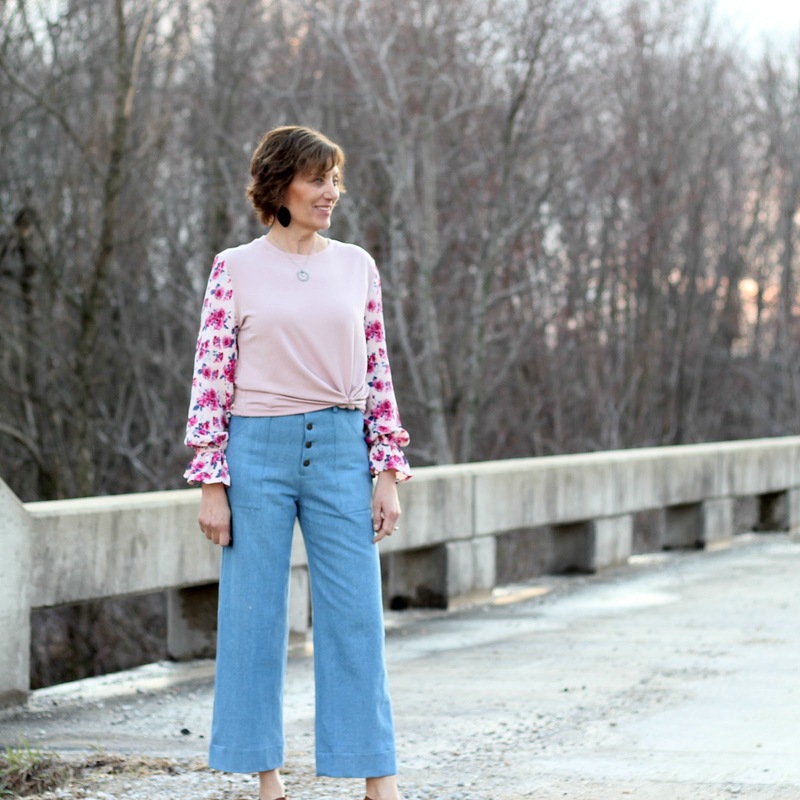 Great spring colors and should work well for your wardrobe. Good luck on the job change, too. That is never easy to change up your routine. This is adorable! I love those quick throw on tops and never seem to have enough. Thanks, Amanda, it is a fun one to put on. Too cute! AND..good luck with the new job. I to worked for the family business (accounting), and worked full time as a teacher. EEEK! Bless retirement! Thanks, Melody, you were very busy lady. I really love the neckband and pocket. This is a fresh look for a knit raglan! Love the look and the colour is unusual.